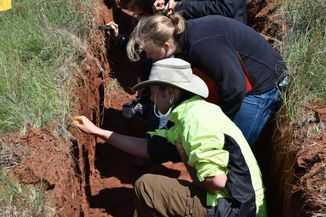 The Oklahoma State University (OSU) Department of Plant and Soil Science will offer a $1,500 scholarship to the top-scoring individual in the land judging contest and a $1,500 scholarship to the top-scoring individual in the homesite evaluation contest at the National Land Judging competition. The student can be from either the 4-H or FFA division. To be eligible, the individual must enroll at OSU as a Plant and Soil Science Major. In addition, if the student has a high school GPA of 3.5 or better and ACT of at least 24, OSU will add an additional $1,500 to the scholarship (total of $3,000). OSU will commit that the scholarship is renewable for up to three more years contingent upon funding availability and a college GPA of 3.0 or better.